Good news for goal keepers and bad news for strikers. 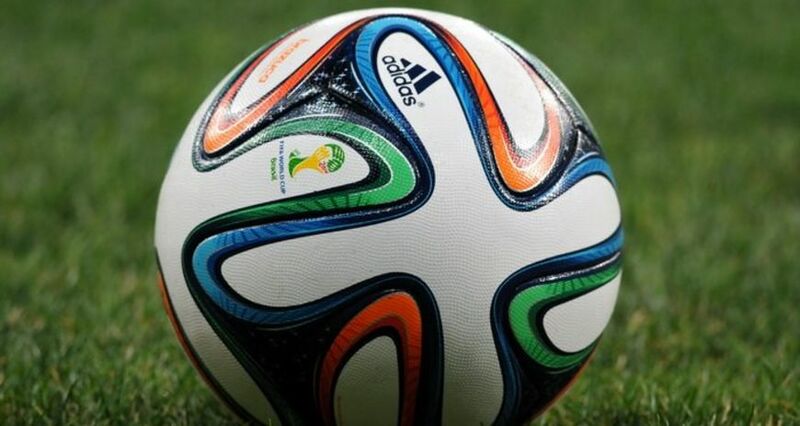 This year's World Cup ball "knuckles" far less than previous competition models. Japanese scientists have proven that in the wind channel. But how to explain the knuckling effect from the point of view of aerodynamics? And what are the physical effects behind those banana kicks? At first glance, the physics of a football flying through the air seem simple: the ball leaves the player's foot with the highest speed and is slowed down more and more by air friction in the course of its flight. The ball's speed is limited by its size, its aerodynamic drag (cW coefficient) and the density of the air. The flight trajectory follows a parabola. Yet there are other factors influencing the flight trajectory. For one, there is the Magnus effect. All players know that the ball's flight trajectory changes, if they give it a spin. When the ball rotates around its own axis during flight, the air coming towards the ball slightly slows it down on one side, whereas drag increases on the other side of the ball. This leads to excess pressure on the side where the air flow is slower. The ball is diverted by the higher pressure and therefore flies on a curved trajectory. Good players use this effect in a targeted manner to skilfully manoeuvre the ball across the playing field and, at best, into the goal. However, phenomena that are less easily understood by physicists and goal keepers alike occur at high flight speeds. Above 90 km/h, drag increases at a significantly lower rate – kicks by Ronaldo and others achieve more than 120 km/h. A ball flying through the air carries with it an enveloping layer of air that rubs against the oncoming air. At these high speeds, little eddies form in the air current. They make the air flow more easily around the ball, including these little eddies. Another phenomenon that occurs only at high speeds is the feared knuckling of the ball, changes of direction to the flight path at high speeds. This is mostly due to the ball's seams. Even without rotation, the recesses in the surface cause differences in the speed at which air flows around the ball. If a seam is transverse to the direction of air current, eddies form and the air flow slows down. In turn, differences in the flow rate create differences in air pressure and result in changes of direction. Depending on how the ball flies through the air, these differences are not symmetrically distributed across the surface. In this case, players are hardly able to predict the effects. 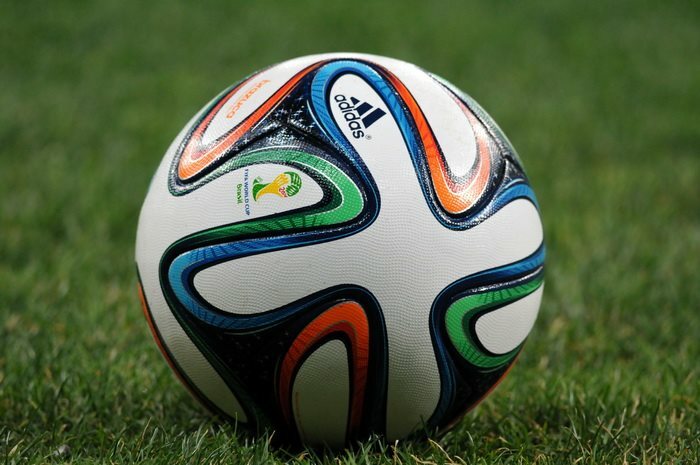 Scientists from the University of Tsukuba in Japan have tested this year's World Cup ball Brazuca and its preceding models in a wind channel. In standardised tests with kick-robots they demonstrated that the Brazuca has the most stable flight path. "The instabilities in flight characteristics vary greatly, depending on the model", the scientists write. The ball used in the 2010 World Cup was revealed to be rather more erratic, a result matching the subjective experience of players. Especially the goal keepers repeatedly complained about the balls knuckling during the World Cup in South Africa. Yet also the surface microstructure seems to play a role when it comes to flight path stability. Brazuca is covered with about 50,000 tiny nubs. The scientists intend to further examine their influence on aerodynamics; the differences to previous models may be observed even earlier, live on the playing fields in Brazil.